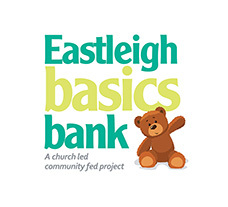 Eastleigh Basics Bank, Unit G6, Wells Place, Eastleigh, SO50 5PP. Eastleigh Basics Bank (“EBB”) is the data controller, i.e. it decides how your personal data is processed and for what purposes. EBB complies with its obligations under the GDPR by keeping personal data up to date; by storing and destroying it securely; by not collecting or retaining excessive amounts of data; by protecting personal data from loss, misuse, unauthorised access and disclosure and by ensuring that appropriate technical measures are in place to protect personal data. To enable us to provide a supply of groceries for the benefit of those in financial hardship as specified in our charitable objects. To maintain our own records. To manage our volunteers and to inform them or news, events and activities. To promote gift aid applications. Processing of data relating to clients is necessary for the legitimate interests of the EBB to ensure that the supply of food to our clients is fair and in line with genuine need, except where such interests are overridden by the interests, rights or freedoms of the data subject. Processing of data relating to volunteers, applicants to become a volunteer and gift aid donors is performed with the consent of the data subject. Processing of data relating to all other individuals is necessary for our legitimate interests i.e. maintaining a functioning organisation capable of managing its affairs, sustaining its activities and communicating with the world at large. Your personal data will be treated as strictly confidential, and will be shared only with (i) the agency issuing the food voucher, and (ii) in the event of specific safeguarding issues, relevant third parties outside the EBB. We keep clients’ personal data for no longer than reasonably necessary, i.e. for a period of 5 years, in order to ensure that the supply of groceries to our clients is fair and in line with genuine need. We will keep volunteers’ personal data for 2 years after leaving EBB and volunteer application forms for 6 months after submission of the application. We will keep donors' personal data for 6 years as required by HMRC for tax purposes. To exercise all relevant rights, queries or complaints please in the first instance contact the Chairman of EBB – Dan Brain on 07825 224209.